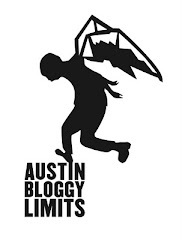 AustinBloggyLimits - An Austin Music Blog: The Album Leaf AND Sea Wolf?! The Parish is the perfect venue to hear the Album Leaf perform in Austin; I'm glad that booking happened. End of post. Just kidding...obviously. My favorite way to discover a band is to hear them live and then find out who that was later. Way back in the historic early aughts, many, many blog years ago, there was a band from Iceland called Sigur Ros. These Icelandic lads made their way across the great Atlantic Ocean bringing chilly songs that make Bloggy cry (in a good way). Well, guess who their opening act was on their first East Coast tour? That's right it was the Album Leaf. When their set started, the entire venue went completely silently for almost 40 minutes before exploding into applause. Many fans were won that night. Will you be the next? Tomorrow night at the Parish let's get a beer and maybe cry a little (hopefully in a good way), maybe dance a little (in an awkward way) but let's try to STFU while the band is on ok? Tickets are still obtainable, don't abstain from purchasing them. In a way, tomorrow night's bill at the Parish is a split-headliners bill. Sea Wolf aren't an opening band, their an experience you shouldn't miss. At the core of their sound you'll find quality songwriting, built around that, could be any number of sounds, textures, musicians, or space. You can always expect some beautiful, well-crafted tunes and memorable melodies, you'll be humming on the way home when Sea Wolf plays your town. By the way, since I mentioned Sigur Ros above the break I should mention that it would have been nice to see Jónsi while he was in the U.S. He played Terminal 5, in New York, on Friday and reading people's tweets was giving me withdrawals. Is Texas too hot for Jónsi?